If you want to know everything there is to know about the Grand Canyon and surrounding sites, you’ve landed on the right page! In this Grand Canyon Tour Guide you will learn about everything there is to see and do when you are visiting the Grand Canyon region. You will also learn about tours you can take, including helicopter tours from Vegas. Get a bird’s eye view of all the possibilities for a Grand Canyon experience of a lifetime! HARVEY TOURING CAR “CARDENAS” AT HERMITS REST. 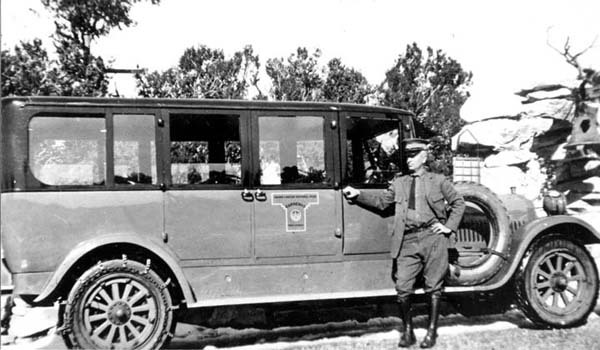 DRIVER IS WILLIAM GUY BASS, SON OF W.W. BASS. HERMIT RIM ROAD (W RIM DRIVE) CIRCA 1918. BASS. No matter where you are coming from, the best tool for planning your route is always Google Maps. You can plan the quickest route or the most scenic with this invaluable tool. There is absolutely nothing in the world like driving to the Grand Canyon. No matter where you come from, all roads lead to Flagstaff. And they are beautiful. The American Southwest is a one-of-a-kind landscape and experience. 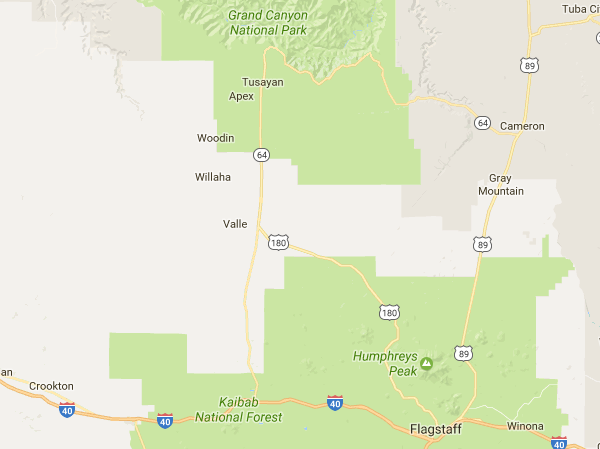 From Flagstaff is is about an hour and a half to the main entrance of Grand Canyon National Park. Tip! Prepare yourself as you enter Grand Canyon National park. Your first view of the Grand Canyon is literally breathtaking. They say you can’t possibly understand it with pictures or words like you can when you are standing on the rim for the first time! The closest airport to the Grand Canyon will take you close, but you’ll still need to drive 90 minutes to get to the rim of the Grand Canyon. You can fly into Flagstaff Regional airport, or the bigger airports of Phoenix or Las Vegas. 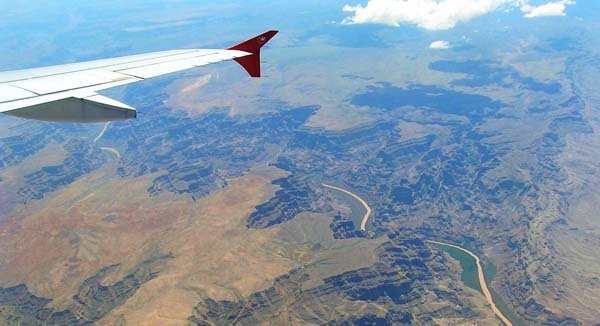 Check out this handy guide for your options for flights to the Grand Canyon. 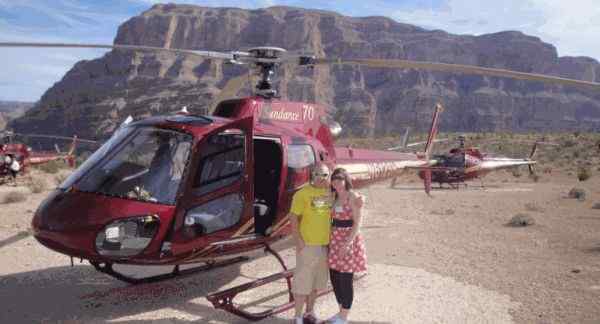 Most people don’t know you can fly to (and into) the Grand Canyon from Las Vegas via helicopter! Helicopter tours of the Grand Canyon have become extremely popular and helicopter tour companies are expanding fast to meet demand. Book A Helicopter Tour With The Company In This Video, Viator! Before you go, make sure you know all you can about this magnificent place. The history, people, cultures, geology and wildlife all tell a story about the Grand Canyon, one of the 7 Natural Wonders of the World. The Grand Canyon is also a UNESCO World Heritage Site and is one of the most visited and wildly popular tourist attractions on the Planet. 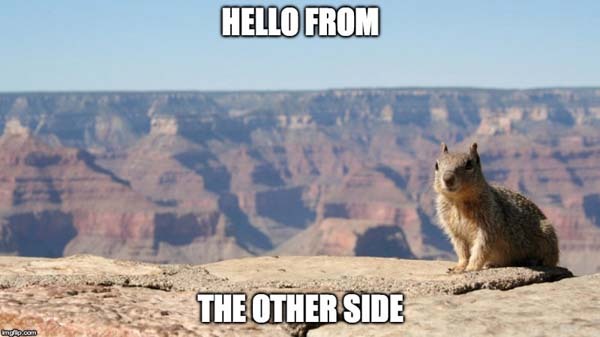 Grand Canyon National Park: Make sure you go straight to the source when it comes to visiting the Park. The National Park Service is in charge of everything to do with management and protection of the Grand Canyon National Park. Their site has tons of resources you’ll want to browse as you plan your trip, including trip planners, north and south rim maps, and Field Institute . A great site for exploring the Grand Canyon virtually is the National Park Foundation. Grand Canyon Association works to help educate and protect the Grand Canyon through educational programs. Members are part of a family of dedicated individuals and organizations committed to preserving and protecting one of the Seven Natural Wonders of the World! 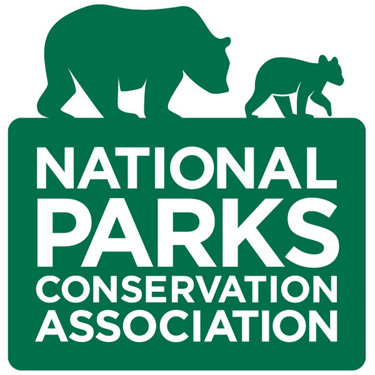 The National Parks Conservation Association is dedicated to protecting the Canyon’s views, wilderness, and wildlife by educating members on the importance of conservation in the Grand Canyon and all other National Parks. The group keeps an eye on legislation that could further protect, or harm, the Grand Canyon and sends out alerts so we can all help protect this incredible national treasure. Oh The WILD Places You’ll Go! There are so many ways to see and experience the Grand Canyon and the many sites around it! That’s why we’ve put together a short list of the must-do tours so you can narrow your choices while putting together your ultimate Grand Canyon experience. When we said there was a lot to do in and around the Grand Canyon, we weren’t kidding! Examples of other Grand Canyon Tours you can take include Humvee 4WD tours, whitewater rafting on the Colorado River, and you can even get married at the Grand Canyon! For more information on tours and much more, check out our Other Grand Canyon tours. Zion National Park | Read about this tour here. 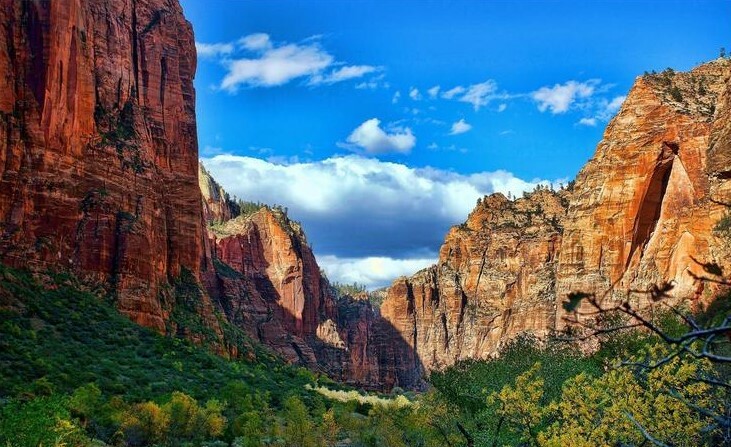 Grand Canyon and Zion National Parks – Learn about two premium quality tours to two beautiful National Parks. You can do both of these trips in just a couple days and they include helicopter flights, boating on the Colorado River inside the Grand Canyon, and even a ride over the new bypass bridge at Hoover Dam. Along the way, you will see the beautiful Joshua Tree Forest and the Grand Wash Cliffs. 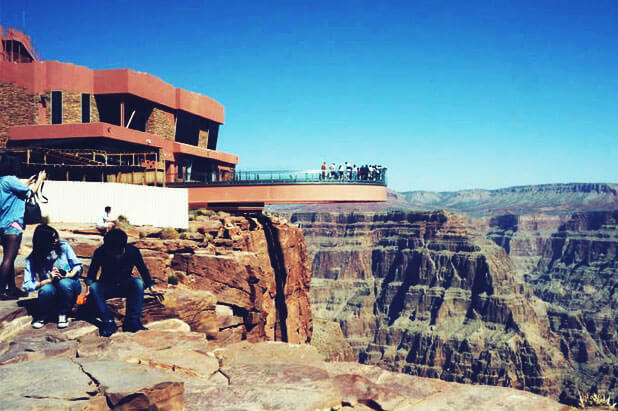 The Grand Canyon Skywalk has a fascinating story. The structure is a wonder in itself. It suspended thousands of feet above the floor of the Grand Canyon and is made with a glass floor! Does it make you nervous? You can learn all about the history and construction of the Skywalk, and even find out some surprises that you might not know! 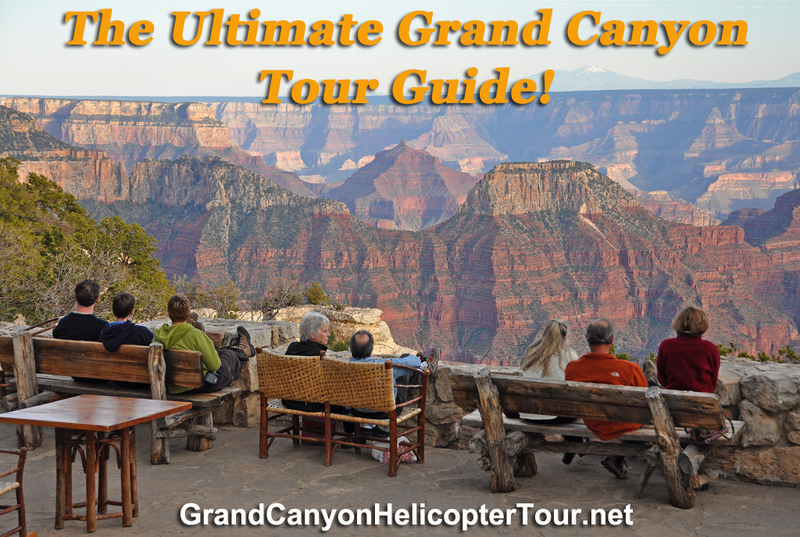 If you know someone who would love to see this Grand Canyon Guide, share it with them!